This is the sort of release that comes out of the blue and just blows you away. It isn’t original, it isn’t something you haven’t heard a thousand times before, but it is an album that has mountains of attitude and a “kick the listener in the nuts (if you got them that is) to grab their attention” approach to the songs. It is also the type of release that always leaves you with a big daft smile on your face when it’s finished playing. 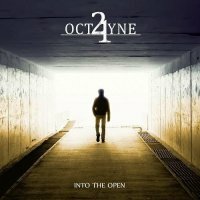 Put together by four guys who have played with the likes of Joe Perry, Paul Gilbert, Rhapsody and Axxis, 21 Octayne are a modern sounding Hard Rock act, with a smorgasbord of other influences ranging from Metal to Prog, which they have thrown together in a melting pot to create ‘Into The Open’ (more background can be found about the band in the interview found on our website Rocktopia). It is an album that hits hard and keeps on driving home the message that 21O are here to make their mark on the Rock world and with this, their debut album, they will take no prisoners in trying to do just that. Opening with the strutting ‘She’s Killing Me’ is a stroke of genius; the song has attitude in spades and the hook kills, burrowing deep into your mind and refusing to let go. ‘Dear Friend’ has an almost Prog Metal riff that soon morphs into an Alter Bridge or Alice In Chains like track that sees the band’s vocalist Hagen Grohe spitting venom as he delivers an outstanding performance. ‘Don’t Turn Away’ has an almost Prong like feel, until it explodes into life and once again the band Rock big time, with heavy Funk-like bass lines and roaring guitars hitting you head on and knocking you over in their haste to get to the end of the song. Other quality tracks to look out for are ‘Me, Myself And I’ which once again showcases the band’s love for a big catchy chorus, the heartfelt ballad ‘I Will Always Be Right There’ where 21O show a different side to their musical character and finally the Power Pop/Rock of ‘Come Alive’ where the whole band put 110% of their hearts and souls into the song. 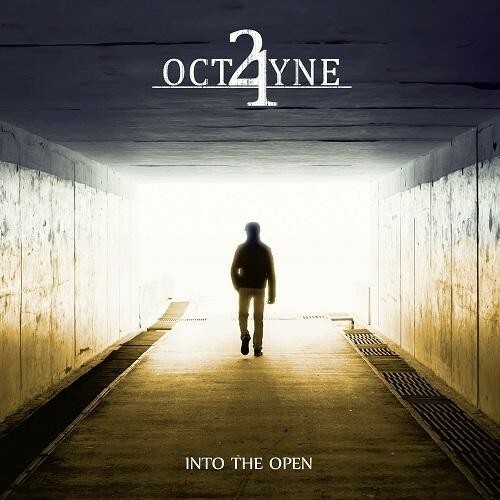 21 Octayne are a band who have come up with a debut album that has some wonderfully diverse elements on it which they seem to have been able to marry together beautifully. They can play up a storm, have great songs filled with a raucous mind-set and an attitude that says “we could take on the world and probably win.” As debuts go, this is really rather good.